Keep the mystery, beauty, and magic of the forest close at hand when you wear our elven and nature inspired rings. Whether decorated with flowers, vines, or leaves, you will find a varied selection of elvish rings here perfect for accenting any outfit, from fantasy to everyday and special occasion. Shop curling vine rings, gemstone floral rings, flower signet rings, oak leaf rings, and even green man rings in this category. Our rings are made of a variety of high quality materials, including sterling silver, white bronze, and fine mixed metals. Whether you are looking for a statement accent to show off with pride or a subtle way to reveal your love for nature, shop our elven and nature inspired rings category here. Combining the beauty of nature with the stunning hue of Black Onyx, the Black Onyx Vine Ring features a large round onyx stone set into the face of its design. This stainless steel ring is certain to draw attention when it is worn. Unleash the beast within with this fiercely stylish accessory. 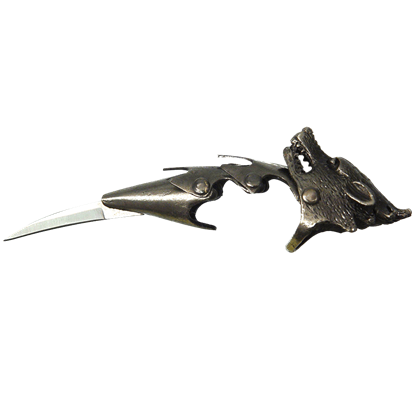 Whether for cosplay, costume party, or to enhance a naturally intimidating presence, the Bladed Wolf Finger Claw Ring lends a rebellious, dark touch to any outfit. Celtic designs often take inspiration from the natural world, reflecting it in the symbolism of the knotwork patterns. 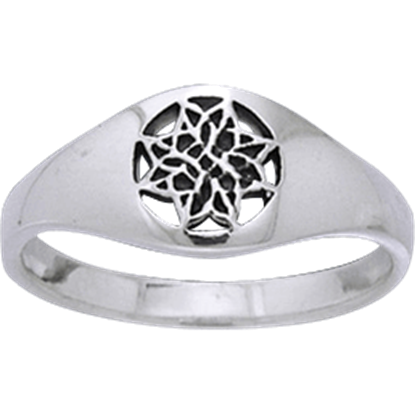 The Celtic Eternal Knot Flower Ring displays a round cutout with an intricate flower knot at the center. 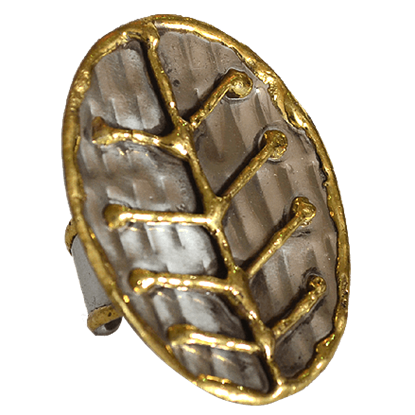 Any ladies who claim autumn as their favorite season will appreciate the nature-inspired design of this artisan ring. 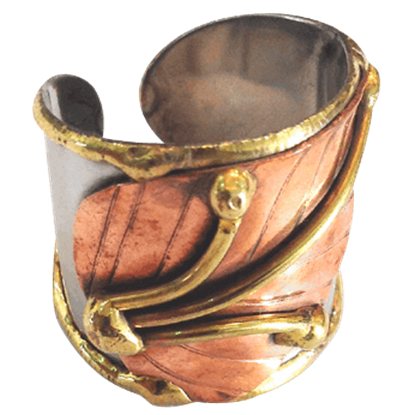 The Curling Leaf Cuff Ring displays the artistic depiction of a fallen leaf across its wide band. Water elves possess mutable yet relentless natures. Like their element, they can outlast, outmaneuver, or overwhelm any opposition they face. 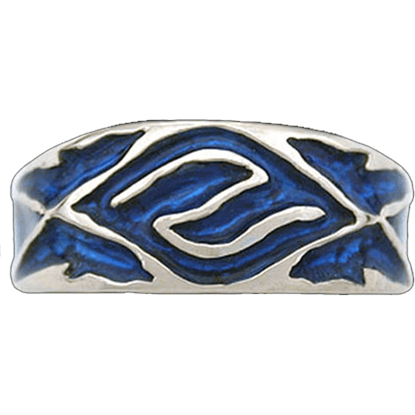 The Gents Elven Water Band features dramatic blue patterns along its band. 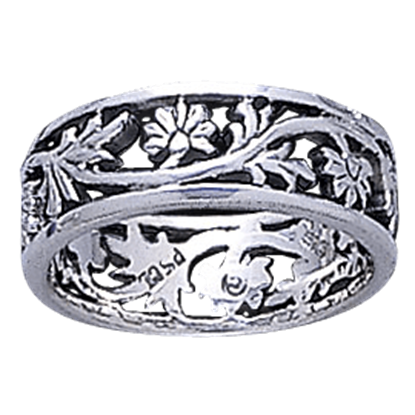 You can feel connected to the earths perpetual cycles with the Green Man Silver Ring. 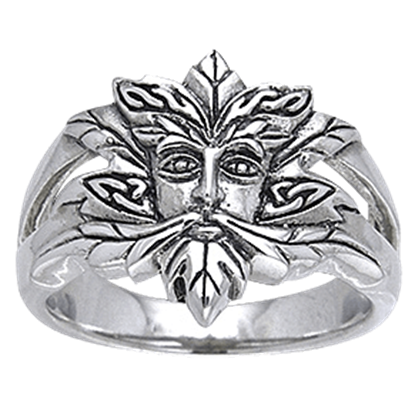 You can also accent your appearance with a great piece of natural and Celtic style, one that will have many taking notice of your greenman ring. Water elves possess mutable yet relentless natures. Like their element, they can outlast, outmaneuver, or overwhelm any opposition they face. 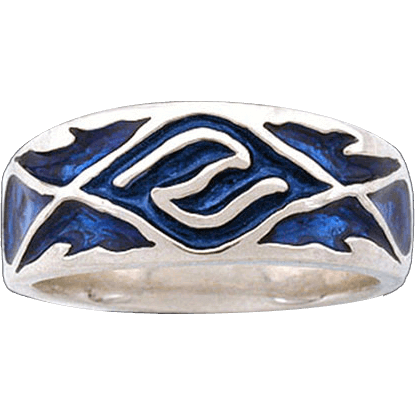 The Lady Elven Water Band features dramatic blue patterns along its band. 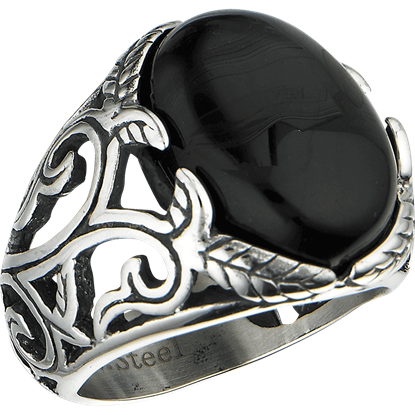 Distinctive detailing makes this ring a unique part of anyones attire. 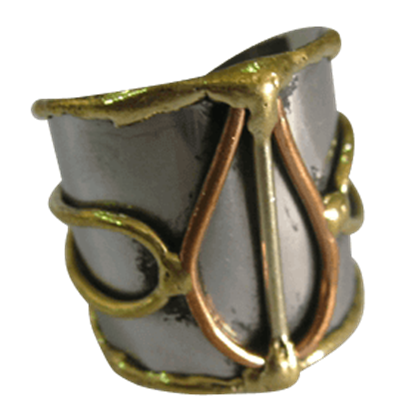 The cuff style makes this ring a bit broader than most, while the polished metals ensure that this Mixed Metal Bulb Cuff Ring is quite appealing to see, too. 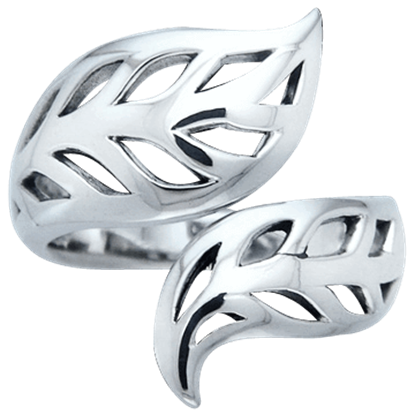 With a love for all things natural, the Shimmering Silver Leaf Ring is the ideal way to fuse the outdoors into any ensemble! This incredible nature jewelry piece is made from fine sterling silver with exceptional grace and design. No one can deny the innate beauty of a flower, from the majestic rose to an unassuming pansy. You can add an elegant touch of beauty to your look with the Silver Open Filigree Flower Ring, which mimics a floral appeal. A design does not need to be complex to be beautiful. What this Steel Leaf Metal Cuff Ring lacks in complexity, it more than makes up for with overall design and quality, making it a fantastic little accessory to own and wear. Trees exude a sense of strength and power through the form of their spreading branches, making them an excellent design motif. 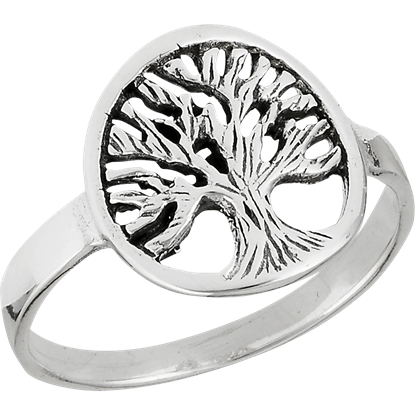 The Sterling Silver Branching Tree Ring shows off a tree held within the borders of its circular frame.